General Homebrew Discussion / Antique Home Brewing Supplies- Bottle Cappers & Glass jugs & bottles galore! I am sorry for your loss. I am glad Mr. Canaday lived 100 years. He sounds like someone we would have all liked to have met. General Homebrew Discussion / Re: Pics of recent brews? It is. Very good malt. The best description I can come up with is ‘rich’. It has a different richer flavor than I’ve had before. I can’t say I’ll use it exclusively but I’ll definitely use it again. It was also the second generation of the Imperial Harvest yeast. It turned out much cleaner than the initial pitch. The Export bier never cleared like this one without some persuasion. This one dropped crystal clear with only time and temp. ...but I did change my mash schedule a bit as well so who knows. I am pleased with this effort. Good to hear. I've taken a real shine to a local malt producer, some of the best malt I've ever used. (As good as or better than any import, and cheaper for me than commodity malts.) But this local maltster only makes base malts (Pilsner, pale, Vienna, Munich.) I might consider some Mecca for specialties. Not local, but made with integrity and, hey, I use PNW hops anyway. And as a serial pitcher, I'm convinced yeast only keeps behaving better as it gets used to living and working in your brewery. I just got 100 pounds of Root Shoots Pilsner and 2-row. I am really looking forward to it. 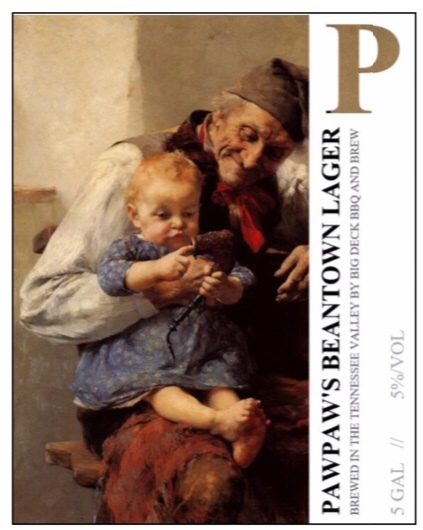 Here’s PawPaw’s Beantown Lager just in time for the Easter Sunday crowd. I love it when a plan comes together. Nice and clear! Looks great. 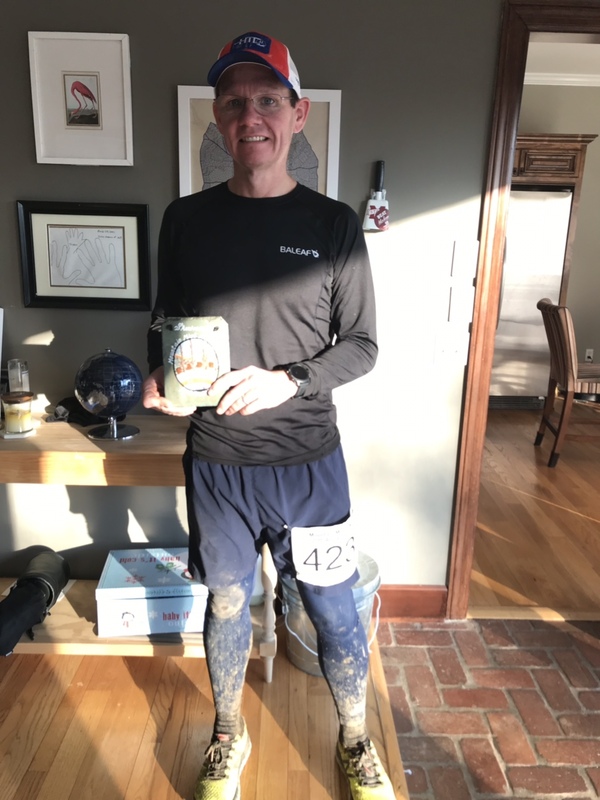 I got into running about 3 years ago when I was doing 5k in the "Will Run for Beer" series in the NH area. Done a couple half marathons, and have two scheduled in May (two weeks apart...hopefully that's enough recovery time). Awesome! Instead of “13.1” or similar sticker on my car, I have one that says “Will run for beer”. Good luck on your back to back half. That should be a good challenge. Saw one that said "13.1 -- I'm only half crazy." I just saw that one yesterday. When I lived in Mississippi Gary Glass made multiple trips to help lobby for homebrewing rights. We got them. I think he helped Alabama a lot too. I appreciate that help. I would love it if Homebrew Con came south. At my workplace if I want something changed I have to get involved and change it. No one hands you the keys. You just have to grab them and drive. I think AHA is probably the same way. I have been here for a while, but thought I would introduce myself again. I am a new me. I first started brewing in the mid-nineties. I took time off to get married and have kids. I have been back at it for about 10 years. As usual drinking the beer is the best and hardest part. I struggled with my weight all that time. About 3.5 years ago I started running to counter the beer drinking. I started on a treadmill. That sucked. So, I enrolled in a 10K class at the local Fleet Feet. Running with lots of people (people who are also slow) is a way more fun. The class took 10-12 weeks to work us up to the 10K distance and then we finished by running a local race. I liked the 10K class so, I signed up for a half marathon class. Next, I tried a sprint triathlon class. Then, two more half marathon classes. Over 2.5 years I lost maybe 5 pounds but, I felt great. I finally decided to go for a marathon last year but, I thought I should loose some weight before running that distance. I didn’t know how to loose weight though. Nothing had ever worked. Last April I heard a presentation and the speaker mentioned that the only diets that work long term are diets that involve keeping a food diary. For some reason that resonated with me. I downloaded MyFitnessPal (a food diary app) and set a daily calorie goal to loose one pound a week. That was 1 year ago. I lost 40 pounds and stopped dieting two months ago. I still use MyFitnessPal to maintain my weight. I ran my marathon last December. Here I am after an Ultra Trail Marathon in January. Loosing the weight made me so much faster and hooked me hard on running. 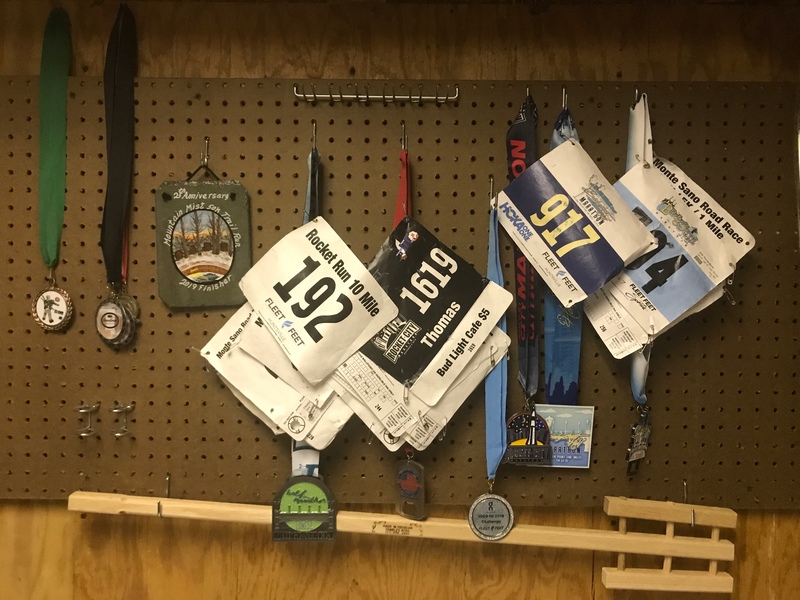 I keep my running medals in the brewery. I was supposed to run another marathon on Sunday. It was just delayed 2 weeks due to predicted bad weather. Keeping the weight off has required dropping my beer consumption a bit. Thankfully, my new running friends are helping me polish off the kegs. Ok...i think so It should be ok! This will be a good beer. It is a blonde ale with a bit more hoppy flavor from the 15 minute additions but probably not too much hoppy flavor. Most brew pub blonde ales in the USA would leave out the 15 minute additions as this style is designed for people who regularly drink macro lagers (Budweiser, Bud Light, Heineken: very low bitterness and little to no hop flavor) who are at the pub and want a beer. American Blonde Ale is an introductory craft beer. Most homebrewers like hops. So, our Blonde Ales often look more like yours. In competitions they get dinged as too hoppy. Yours is borderline. I say brew it and enjoy it. It will taste better with the 15 minute additions. Also I love my new Tilt, which monitors SG the whole way, though it is a bit finicky. What is finicky about the Tilt? I am an extreme tightwad but if I was going to splurge on a brewing accessory this might be the one as it seems to solve all the above mentioned issues with refractometers and hydrometers. Readings are sometimes affected by the krausen sticking to it. Supposedly that resolved itself once the krausen drops. I have one but have not used enough to comment. Correction: you calibrate the Tilt in water. Not with a hydrometer. I am getting old and remembered wrong. Scary. I am an orange marmalade eater. I fixed that typo so now no one will get your joke. We should all eat more marmalade if only so we can say marmalade more often. MJ is also generally cheaper. They must have much smaller profit margin. Which is why I'm curious about them. Morebeer has 34/70 for $7, not much less than Wyeast at $7.50. Sure the price looks close at first glance. But when you're talking about shipping liquid yeast vs. dry, the cost per cell that gets to you still viable is another story! I have used quite a few MJ yeasts. M84- makes a malty Lager. It attenuates less than I would like. My export lager came out sweet. I didn’t like the sweetness there. My Boston lager clone was very malty and tasty with this yeast. M76- seems like 34/70. Clean crisp lager. I can’t promise it is 34/70 or not. I have not done a side by side. I have fermented up to 54F with this one. I am fermenting a batch at 58F now to see how that affects taste. M54- pretty clean crisp lager fermented at 62F. Not as clean as M76. M44- nice clean ale yeast. I don’t think it is US-05 because there is no peach flavor. It may be same as Bry97. Both have slow lag times. I tried a lager with this one. Not great. I didn’t like the esters. But, works great for APA’s and Ambers. M36- I like this one for English beers. It is not WLP002. I think it attenuates more and the fruit flavors are a bit different. This is closer to S04 but still not the same. I swear I get an orange marmalade ester from M36. I don’t get that from S04. One pack of these yeasts are just fine for my 3 gallon batches. I thought you don't use secondaries anymore? Don't - suspect that was an add by the AHA editors. I guess by one type of hop they mean pellets? The recipe calls for Magnum bittering and Willamette at 5 minutes. Sorry to pile on. I am brewing this recipe on Big Brew Day. I am looking forward to it. Thanks for the recipe. 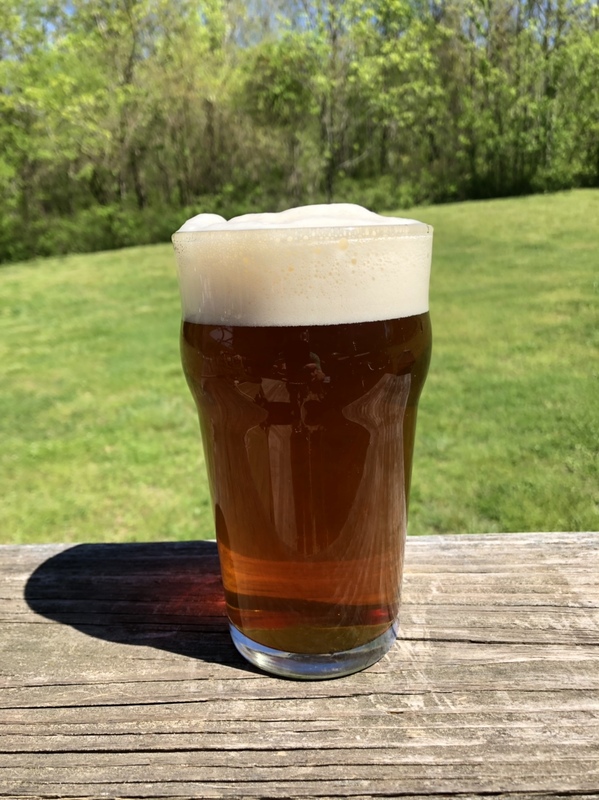 General Homebrew Discussion / Re: What's Brewing this Weekend? Helles w/Viking European Pilsner malt. I’ll let you know the date and time. All I know so far is we are having an event.